Who Pays for H-1B and Green Card Fees? | Minsky, McCormick & Hallagan, P.C. HomeBlogEmployment-Based Green CardsWho Pays for H-1B and Green Card Fees? Clients often call our office asking who is required to pay for fees associated with an H-1B or a green card obtained through an employer. Is the employer required to pay for everything or can the employee pay in some instances? The answer to this question depends upon the specific process and expense. attorney fees and other costs connected to the performance of the H-1B program functions that the employer must perform, such as preparation and filing of the LCA and H-1B petition. Therefore, an H-1B employer cannot require that an employee pay for or reimburse the employer for attorney fees associated with the preparation and filing of an H-1B. Keep in mind, however, that the employer may require that the H-1B employee pay the attorney fees associated with filing an application for an H-4 dependent, which may be a spouse or child. Filing Fees: According to the Immigration and Nationality Act and federal regulations, each of the US Citizenship and Immigration Services’ (USCIS) fees associated with an H-1B filing must be paid by the employer and cannot be borne by the H-1B employee. If 15-day premium processing is desired, however, this optional fee may be paid by either party depending on the circumstances. If premium processing is requested for the benefit of the employer, the employer must pay this expense. If the employee is the party requesting premium processing for his or her own benefit, then the employee may pay for premium processing. For example, in certain circumstances, an H-1B employee may begin working for a new employer as soon as that employer files an H-1B transfer petition with USCIS. The employee does not have to wait for USCIS to approve the petition which can often take 3 months or longer. In order to avoid the risk of a USCIS denial of the petition after they begin working for the new employer, some employees want to use premium processing to obtain H-1B approval prior to transferring. In such instances, an H-1B employee may be responsible for paying the premium processing fee as the employee is the primary beneficiary of the request. Reimbursement Upon Termination: Employers should be cautious when drafting language that requires an H-1B employee to reimburse them for H-1B expenses upon termination. Federal regulations at 20 C.F.R. 655.731(c)(10) state that a deduction or reduction from the required wage is not authorized if it is a “penalty for ceasing employment with the employer prior to a date agreed to by the nonimmigrant and the employer.” Nevertheless, in limited circumstances, an employer may receive “bona fide liquidated damages from an H-1B nonimmigrant who ceases employment with the employer prior to an agreed date.” These circumstances depend not only on how the damages are characterized in the immigration context (e.g. attorneys’ fees or filing fees) but also on whether state law deems the damages permissible. To determine whether a deduction or reduction in pay is permissible, an employer should review the language of its reimbursement agreement with a qualified immigration attorney and employment/labor attorney. Generally, for an employer to sponsor a foreign national for U.S. permanent resident status (i.e. a “green card”) the following applications must be filed: 1.) Application for Permanent Employment Certification (i.e. ETA-9089, labor certification, or PERM); 2.) I-140, Petition for Alien Worker; and 3.) I-485, Application to Adjust Status. For an overview of this process, please review our post about Obtaining Permanent Resident Status Through Employment. 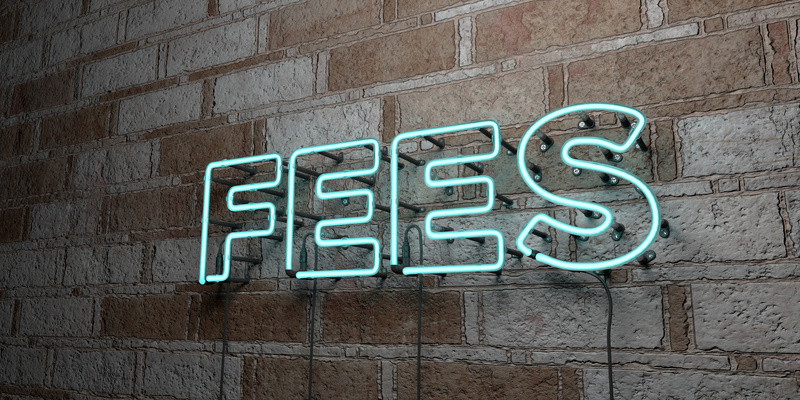 PERM Fees: According to federal regulations at 20 C.F.R. 656.12, the employer is responsible for ALL fees associated with the PERM process, including recruitment costs and attorneys’ fees. The only time the employee may pay for these costs is if the attorney represents the employee and not the employer. However, in the vast majority of situations the attorney will be representing both the employer and employee during this step, as the PERM will be filed by the attorney on behalf of the employer. Therefore, the employer is generally responsible for all costs associated with this process. I-140 Fees: There is nothing that precludes payment of I-140 fees by the employee. Therefore, an employer may enter an agreement specifying that the employee is responsible for all costs associated with this process, including filings fees and attorneys’ fees. I-485 Fees: There is nothing that precludes payment of I-485 fees by the employee. Therefore, an employer may enter an agreement specifying that the employee is responsible for all costs associated with this process, including filings fees, biometrics fees, and attorneys’ fees. Prior to sponsoring an individual for an H-1B or for a green card, we recommend that both the employer and the employee discuss the financial responsibilities of each party throughout the process. We also recommend that the parties draft an agreement that outlines each party’s responsibilities prior to starting an H-1B or green card process. Parties should ensure that these agreements are reviewed by an immigration attorney, a labor/employment attorney, and in-house counsel prior to execution. The attorneys at MMHPC handle all aspects of H-1Bs and employer-sponsored permanent residence for employers and employees. If your company is interested in hiring a foreign national either temporarily or permanently, or if you are an employee with questions about sponsorship, please contact us with your questions.